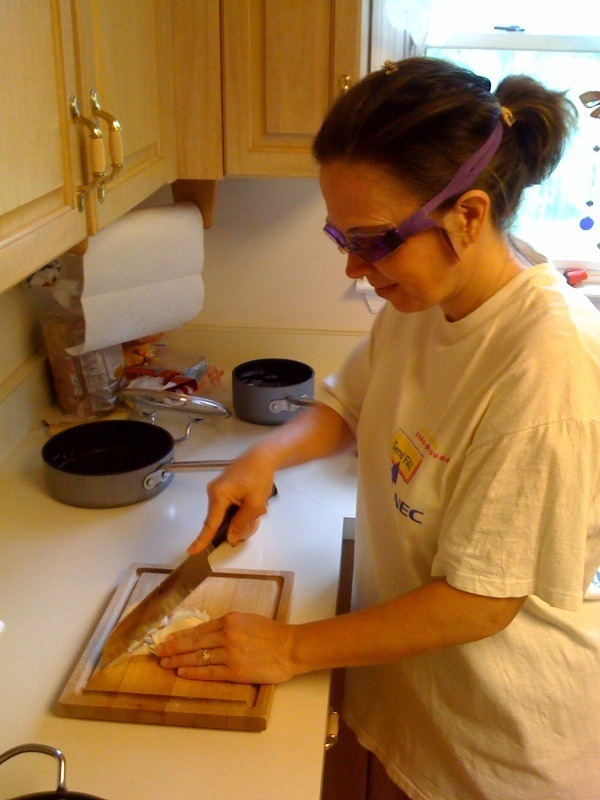 Karen has had it with tears from chopping onions. You are looking at her solution. You may think why not glasses, but they don’t stop the problem. 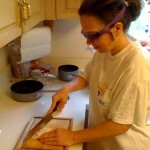 As you cut an onion, the amino acid sulfoxides are released into the air and form syn-propanethial-S-oxide. This chemical triggers the lachrymal gland to stimulate tear production to flush away the chemical. You have to block the syn-propanethial-S-oxide from reaching your eyes.